Our product range includes a wide range of tanzanite gemstone, tanzanite beads, birthstones, nephrite stone, rhodolite garnet gemstones and rose crystals. 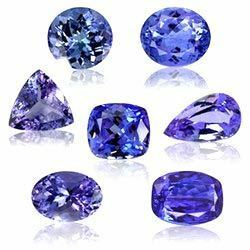 We provide imported tanzanite gemstone which is highly admired for its gorgeous looks. Tanzanite gemstone, a rare stone, obtained from the mines of tanzania in africa. In its natural state, it shows a reddish brown/muted green color, which, after heat treatment, changes to a bluish violet. Our tanzanite gemstone is of the finest quality as it comes from renowned vendors. We offer an extensive range of tanzanite beads. Our collection of Tanzanite Bead is a mixture of art and perfection. These beads are highly praised by the fashion industry. Our best quality beads are finely designed by our expert team members. 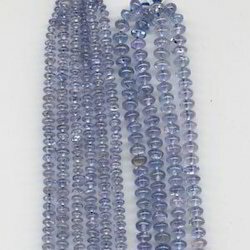 The premium Tanzanite Beads provided by us are used in creating necklaces and bracelets. With immense experience, we have been able to offer customized solutions to our customers to make these ornaments as per their fashion preferences. Looking for Tanzanite Gemstone ?